Albania is a country in South-Eastern Europe, in the West of the Balkan Peninsula, between the geographical coordinates: 39 16' latitude and 42 39' longitude. Albania is almost midway between Equator and the North Pole, and covers a surface of 28.748 km2. The overall length of the borderline of the Republic of Albania is 1094 km; out of which 657-km is land-border, 316-km sea-border, 48-km river-border and 73 km lake-border. The Republic of Albania, on the North borders with Montenegro , on North-East with Kosova, on the East with Macedonia, and in the South and South-East with Greece. 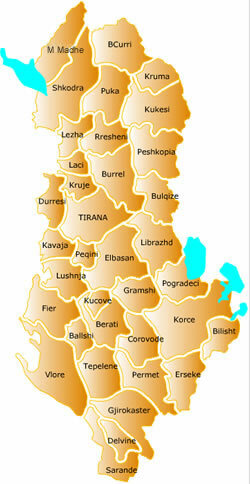 On the West, Albania is washed by the Adriatic and Ionian seas. The average altitude is 708 m, i.e. two times higher than that of Europe. Albania is included in the humid sub-tropical zone of the Northern Hemisphere, and it belongs to the Mediterranean climatic zone. Chromium, ferro-nickel, copper, coal, oil and gas are among the most important sub-soil minerals found in Albania. The symbol of the Republic of Albania is represented from bicephalous black eagle, placed on a red shield. The red shield is surrounded by a black stripe. 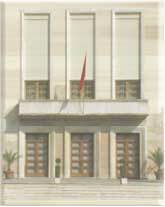 On the top is written in red "Republic of Albania". Albanian economy is considered as Trade Economy in transition. The private sector occupies the major part of GDP. 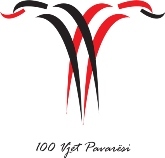 To be mentioned in the Strategy of the Albanian Economic Development for the years 2000-2003, are its overall structural reform according to the standards of the countries with a strong trade economy, the privatization of strategic sectors, and the stabilization of macro-economic indexes with the final goal to increasing of the investments through implementation of the Public Investments’ Program and attraction of Direct Foreign Investments. The close co-operation with international organizations such as: World Bank, International Monetary Fund and European Union, EBRD etc. are assurances for a steady economic development and termination of the transition stage. Whereas the implementation of the Stability Pact constitutes one of the main engagements of the Government for the social-economic development of the country with the final view to getting integrated in the Euro-Atlantic structure. Underground properties (Petrol, natural gas, chrome, coal, copper, iron-nickel, ores, marble stone); Considerable Hydro Resources; Considerable Areas of Woods and Pasturage (about 38% of the territory of the country). There are non-exploited resources in the fields of Tourism – Blue, Green and White Tourism.